You might have heard it in the news, things are about to change in Catalonia. Well, this doesn’t effect the hot party scene of Barcelona, so you’re free to come and have a great pub crawl adventure! It’s more of a political and cultural thing. Let’s see what are they up to! Catalonia is a special region of Spain comprised of 4 counties. Back in the middle ages, there was an independent kingdom that was later incorporated into the Kingdom of Spain, thanks to the rulers of Castilia and Aragon. For centuries, the region had little or no autonomy or independence. It benefited greatly from international trade and geographical discoveries. In the 19th century, a cultural movement started to remember the roots of Catalonia and it soon lead to a political struggle. 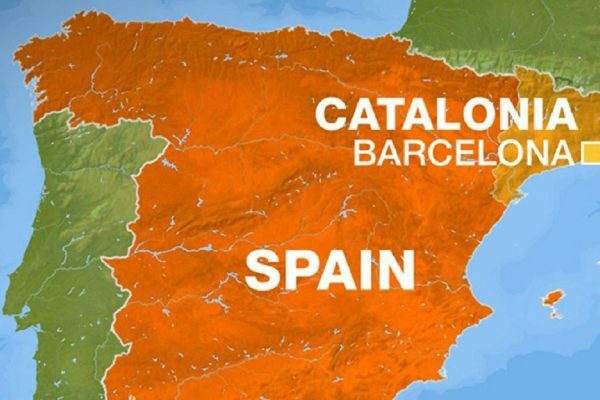 In the early 20th century, Catalonia gained autonomy and became a special region of Spain with limited self-government. During the dictatorship of Franco, Catalans were oppressed by the central power. Nevertheless, the economy thrived and it Barcelona and the Costa del Sol became the most important tourist area of the country. After the democratic transition, autonomy was restored and the independence movement gained new momentum, which lead to the current situation. You have to understand that this region has its own language and culture that evolved during the centuries. European history is not easy, and it won’t get easier in the future. The people of Catalonia are proud of their heritage and the work they have done. Not without a reason, this region is the biggest industrial producer of Spain, tourism capital, important port and financial center. Therefore, they feel that a lot of their money is taken away to support other areas of Spain in spite of developing their land. The recent referendum was another attempt to bring the question of independence forward. Although people voted for it, it would bring many troubling consequences. Would Catalonia be member of the EU? If yes, how? What would happen to Spain? There’s a lot to be seen in the future. As for as politics go, we will let it unfold. In the meanwhile, the party train is ready for departure, so hop on and book a pub tour adventure in Barcelona with us!